A class of new doctors will receive their medical degrees today as they graduate from the Jacobs School of Medicine and Biomedical Sciences at the University at Buffalo. WBFO’s Avery Schneider spoke with one of them about her inspirational story. Walking across the stage this afternoon among 132 new doctors from the UB medical school will be Syracuse native Shanté White. On a break from an exhausting week of finals and pre-graduation errands, White recalled over the phone that it was in a middle school health class that she decided she wanted to become a doctor. “I saw a video of a woman giving birth and I wanted to be the person to do that, to deliver the baby,” she said. In her third year of medical school, during an OB-GYN rotation, White got the chance to see birthing in person. “A lot of the individuals in my family struggled with addiction, with drugs and alcohol, and things like that. So growing up in a family with those kinds of struggles kind of made things a little hard,” said White. White helped her parents care for the family of six sisters and a brother. But as the oldest, she didn’t have a sibling to turn to for guidance. “So I went to a lot of my teachers and my coaches for support,” she said. 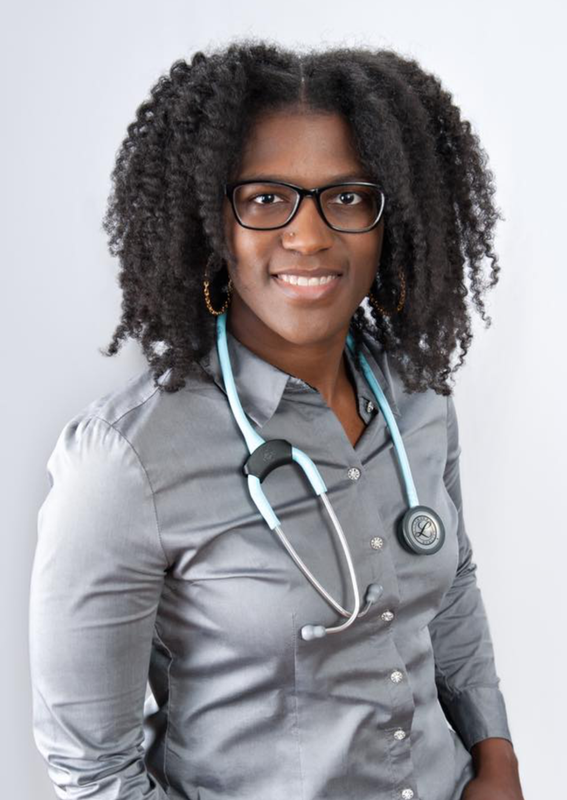 White found that same support early on in her years as an undergrad at UB when she felt intimidated by the prospect of the med school curriculum. “I wasn’t sure if I was, you know, up for the task,” said White. While running track for the school, an athletic advisor turned her on to nursing. It was in that program that she shadowed a nurse-anesthetist and found her future calling. White completed her undergraduate studies as a registered nurse, ready to advance to medical school. She recalled crossing the stage to receive her diploma as an especially meaningful moment. White said the only thing she expects could top it is the feeling she’ll have as she walks across the stage to get her medical degree. “I can say for the first time in my life – I should have said it before – that I’m really proud of myself. Just reflecting back on how I grew up and the things I went through…it’s been hard,” said White. What lies ahead for White is a residency in anesthesiology at the University of Rochester, but even that came with an obstacle. She was initially rejected by the anesthesiology program, but impressed an interviewer with its general medical program enough that the anesthesia school reconsidered her. And its lessons like that that White wants to pass on. In addition to hopes for a fellowship in pediatrics so she can treat children, White also wants to help kids in other ways. She doesn’t know how yet, but she aims to find a way to mentor those who grew up with challenges like she did. And after today, Shanté White will be well on her way to doing just that. Follow WBFO's Avery Schneider on Twitter @SAvery131.